CNET, generally a home for all things whiz-bang and techy, is unusually but admirably spotlighting tech that assists the disabled and older adults. The latest in its Tech Enabled series focuses on robotics and AI-assisted comfort companions to help the sick–children undergoing medical treatment and adults with dementia. We’ve previously covered the PARO therapeutic seal, here in use with dementia, PTSD, and TBI residents in a VA Hospital in Livermore, California, It’s now in its 13th year of distribution and on its ninth release. Our prior criticism was only that it could benefit far more people if production were higher and prices were lower. Insurer AFLAC has developed with Sproutel the ‘My Special Aflac Duck’, designed for children undergoing treatment for cancer. The stuffed duck has a microphone, sensors, and pre-programming to respond to the child. The child can place discs on the duck’s stomach which are “feeler cards” which reflect moods from sad to happy. It can also be taken care of with ‘feeding’ and bathing (the furry cover is removable). AFLAC is donating the $200 cost of the therapy duck for a wider release this fall. Sproutel previously designed Jerry the Bear for children diagnosed with Type 1 diabetes, where they learn to monitor blood sugar levels and give insulin shots to the bear via an AR phone app. The writer and videos attest to the comfort and control patients feel with these comfort companions (and plus). Where articles like this in CNET contribute is in increasing general awareness that these are available here and now. One only wishes they and research on them were more widely available. Our former Eye on Tenders, Susanne Woodman of BRE, has informed us that this year’s BBH Awards is seeking organizations which are implementing healthcare technologies and software. These can be either process-centered (e.g. information or workflow systems) or patient-centered (e.g. medication compliance, smoking cessation). The organizer, HPCI Media, is accepting entries until 30 June. There will be 27 awards across five classes: Building Design, Technology, Estates and Facilities, Staff and Patient Experience, and Special Awards. Last year’s awardees are here. Another theme is the 70th Anniversary of the NHS. This year’s awards will be on 31 October at The Brewery in Chiswell Street, London. Our very best to Susanne as she sets out on new horizons! [grow_thumb image=”http://telecareaware.com/wp-content/uploads/2017/12/Lasso.jpg” thumb_width=”125″ /]Announcements and acquisitions have been multiplying–here’s what’s most interesting. 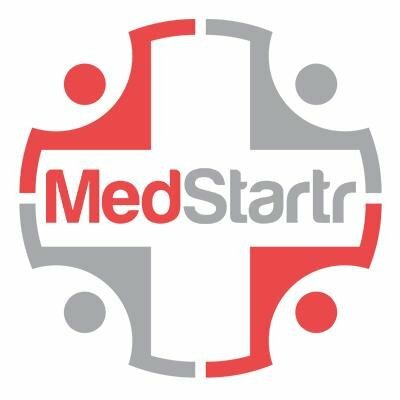 Our recent Contributor Bruce Judson, now with corporate telemedicine provider First Stop Health, wrote us enroute to the Government Finance Officials Association conference in St. Louis that FSH achieved triple-digit top-line revenue growth and also achieved an average utilization rate of 52 percent. The formal announcement was made earlier this week at the HLTH conference in Las Vegas (release), where another one of our Contributors, Sarianne Gruber, is attending for Answers Media Company. GlobalMed, a prior contributor to Perspectives, is offering a lower cost telemedicine alternative to practices with a flat fee starting at $799 per month for three years. Startup costs remain at about $5,000. The starting kit includes a cart, a total exam camera, stethoscope and vitals linked to the organization’s network, and a nurse license. Additional compatible equipment is available at extra cost. We know that a number of comparable telemedicine cart-based kits run upwards of $8,000. It is one of the first public acknowledgments this Editor has seen (but has known for years) that high cost is a major impediment for implementing both telehealth and telemedicine in practices. Health Data Management. Allscripts continues on its acquisition binge with patient communication and engagement platform HealthGrid. HealthGrid is a mobile app platform that delivers care and education materials traditionally distributed from practices to patients via paper. In January, Allscripts bought practice EHR Practice Fusion for $100 million (a loss to investors) and earlier McKesson’s HIT business for $185 million. It’s a noticeable shift to value-added care tools for this formerly EHR-centric company. Mobihealthnews. Welbeing has won Norwich City Council’s Norwich Community Alarm Service (NCAS). It provides a 24-hour, year-round monitoring and response service for over 6,500 adults who are vulnerable or at risk in this part of East Anglia. 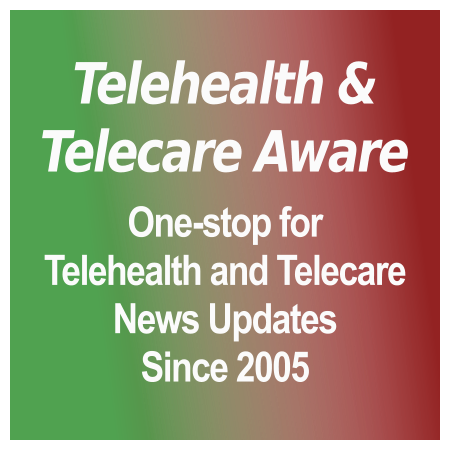 The press release is on UK Telehealthcare‘s news page. BenevolentAI, a UK company using artificial intelligence for drug development, raised $115 million in new funding, mostly from undisclosed investors in the United States, according to Mobihealthnews, for a total funding of over $200 million. The company uses AI to reduce drug discovery time and risk. It does not do its own drug discovery but sells the intellectual property discovered by their AI algorithms, claiming to cut drug development timelines by four years and improve efficiencies by 60 percent compared to pharma industry averages. Of late, there’s been the behavioral quirks of their founders leading to disastrous problems at Uber, Theranos, and Zenefits. It often seems that the more hype, the more sunshine, daisies, puppy dogs, mission, and ‘fab culture’ are on the website, the worse the dysfunctional reality and mistreatment of the troops. After receiving concerning reports by employees about Ron’s conduct as CEO, the Board of Directors hired an outside law firm to conduct an investigation into these allegations. What we learned left us with no choice but to make this change, and we did so after taking the necessary steps from a corporate governance perspective. The replacing CEO is Bill Gossman, a serial founder and a partner in one of the investors, Mohr Davidow Ventures. Nokia finally gave up on consumer health tech, confirming February reports that they were reviewing strategic options for its Digital Health business. Digital Health was a tiny part of Nokia Technologies and an even tinier part of overall revenue (under .2 percent at €52 million of revenues). The prospective buyer in the exclusive talks is Withings co-founder and former chairman Éric Carreel. “Nokia and Éric Carreel recognize that as an original Co-Founder of Withings, he is best positioned to carry the company forward into its next phase,” a Nokia spokesperson wrote to Mobihealthnews. Withings sold itself to diversifying Nokia in 2016 for a hefty €170 million, becoming Nokia Digital Health in February 2017. The Withings purchase was positioned as a reverse takeover, with Withings staff taking over Nokia’s fledgling efforts in digital health. But the promised results and impact never took place and Withings faded from view, at least in the Americas.